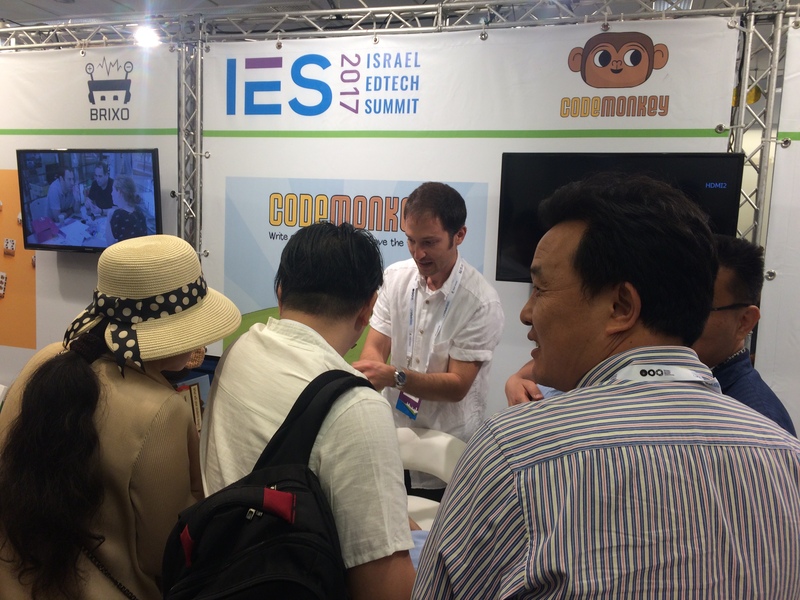 In early June, CodeMonkey attended the second annual Israel EdTech Summit, a hotspot for investors, business partners and entrepreneurs. The conference took place in Tel Aviv and consisted of two days of networking, idea sharing and presentations. CodeMonkey’s cofounder and COO, Yishai Pinchover, presented a pitch on the transition of the coding movement from promise to reality. The Coding Hype Cycle outlines that in the early 2000’s, with the launch of Scratch, society got hyped up at the idea that children can learn basic coding concepts so early on. However, the hype calmed down as society began to realize that getting a whole generation to code is not as easy as they had originally thought. CodeMonkey has made providing young students with a resource to learn advanced code its mission from the start. This highly engaging, text-based coding platform is working to foster an entire generation of coders. Along with CodeMonkey, were other cutting-edge Israeli EdTech companies and startups whose innovations not only make our lives better, but do so in a fun and easy way. One such company was Brixo, a platform that teaches children how electricity works in a lego-building environment (how cool is that?). The melting pot of attendees and companies at the conference made it clear that these innovations are equipping our youth with vast hands-on learning opportunities like never before.